Certain applications are not suitable for metal gratings because of corrosive environments, they rust. GRP Grating provides high specification alternative to traditional galvanised steel for walkways, platforms and gantries. It offers the lowest life-cycle cost and it weighs considerably less than conventional metal gratings. GRP Grating is lightweight and has exceptional strength, non-corrosive, non-magnetic, non-conductive, chemical resistant, and UV Stable for the 21st-century marine industry. Do you need to replace your rusted out old gratings? We cut all the Anti-Slip Gritted Grating in accordance with the client's specification. 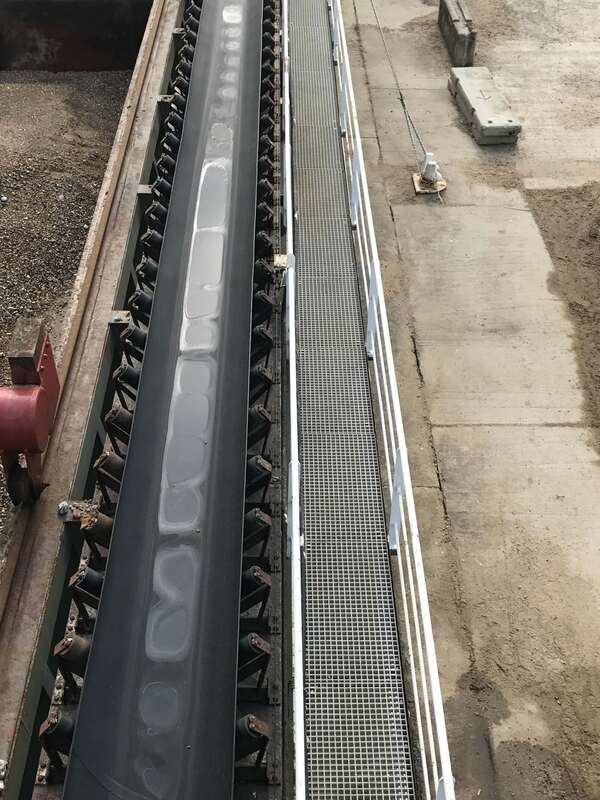 Our GRP 38mm thick Open Mesh Gritted Grating was delivered ready for their own maintenance team to install on various areas of the dredgers which required replacing the old rusted and warped metal grating. The GRP Grating was used on Port Side Draghead Catwalks, Stbd Aft Wing Athwartship, Stbd Aft Bridge, Pump Room Voids, Ecab Platforms and Feeder Hoppers. No Welding, No Hot Works, No Fuss...just simple fixing with well-designed clip and clamp assembly. Unlike metal grating which will eventually deform and warp, the impact resistance of GRP Grating allows repeated deflection without permanent deformation. Metal expands and contracts at a much higher rate than GRP causing unseen stress fractures and eventually, through time, bending and breaking. When we receive an enquiry regarding the use of GRP Grating all aspects of its intended use are always considered. What is the Load bearing, Environment, Potential Impact, Possible Spillage Contamination, Maintenance regime, Non-conductivity, Fire integrity and even Colour. "The Grating is excellent. We have recently carried out repairs on a large pump; the impeller being over a metre across and experienced no issues working on the grating with 3 men. We are more than pleased with this product"